Difficulty: Medium. One steep section for about 1/4 mile. 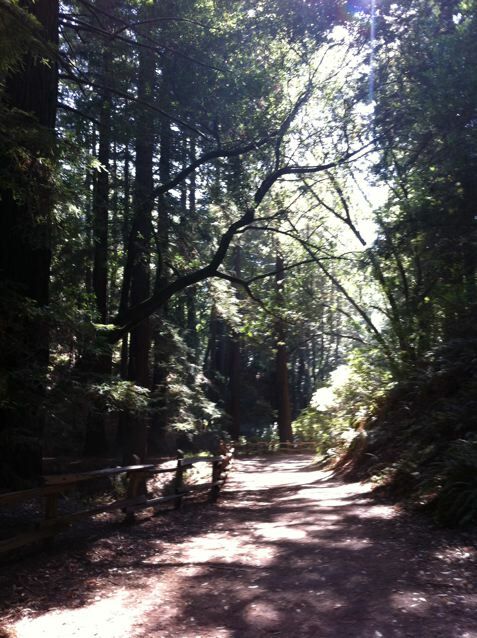 Highlights: Redwood Regional Park is my favorite park in the East Bay and this loop offers the sun and outstanding views from the East Ridge Trail combined with the shady majesty of the redwood trees along Redwood Creek Trail. A great combination! 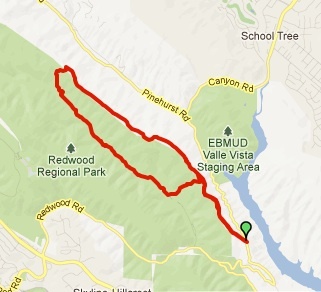 Directions: Redwood Park has a main entrance off of Redwood Road and also from Skyline Drive, but the closest access from Lamorinda is the “Pinehurst Gate.” Drive to Moraga and then take Canyon Road south from the intersection of Moraga Road and Moraga Way. When you reach Pinehurst Rd. take a left. Follow the windy road to the top of the hill and look for a parking spot. You will see the “Pinehurst Gate” sign. 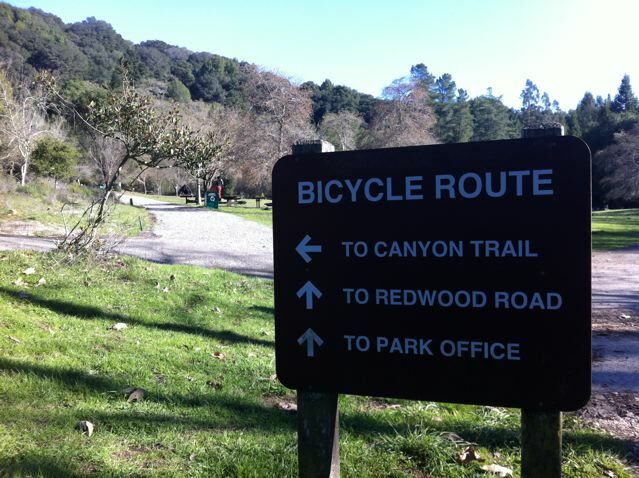 Trailhead: The trailhead has a sign, gate, kiosk, and maps of Redwood Park, if you don’t have one. A little background… Redwood Regional Park was once a virgin, old-growth redwood forest like Muir Woods, but was completely logged between 1840-1860. So all of the redwood trees that you see now are “second growth” that have grown since 1860. That is long enough that many of them have grown over 100 feet tall! Left undisturbed these amazing trees can live over 1000 years and grow to be over 300 feet tall. To start you hike head through the gate and up the first hill that you see in the photo. You will be on East Ridge Trail that runs along the eastern ridge of the park. It is a fire road that winds along the ridge, with lots of sun, and tremendous views. 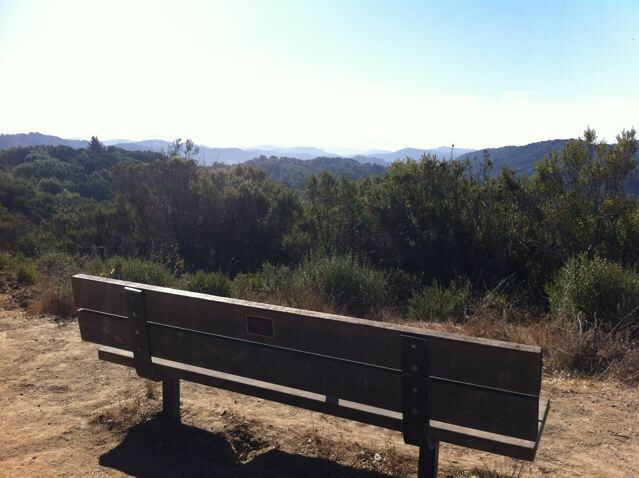 You will hike about 2.5 miles or close to an hour until you reach Prince Trail. Take a left. Prince Trail descends down into the valley of the park. When you reach the Stream Trail take a left. The Stream Trail is the “spine” of the park. It passes through groves of coast redwoods and goes alongside the Redwood Creek. Redwood Creek has a special place in history. The word-famous rainbow trout were first identified as a distinct species from fish caught in San Leandro Creek, of which Redwood Creek is a tributary. The trout that spawn in Redwood Creek migrate from a downstream reservoir. You will notice signs along the trail that give more information. After a little over a half mile on Stream Trail, you will reach the “Trails End”, which is the end of the paved trail, and as far as bikes can go, from the other direction. 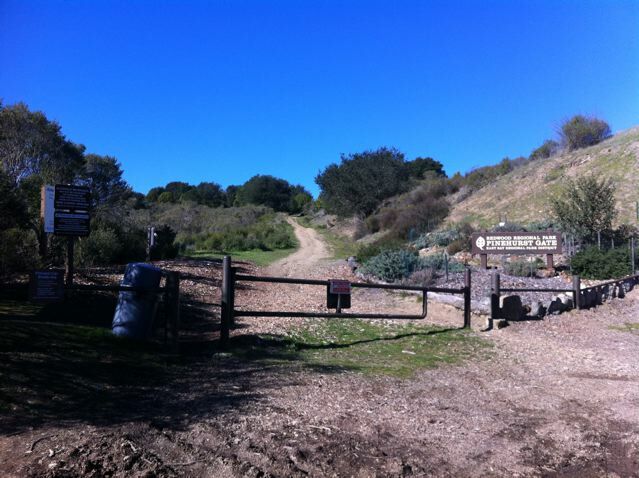 After a while you will reach a picnic area and a sign for the Canyon Trail (see picture). Canyon Trail will take you back up to East Ridge Trail. Canyon Trail is steep but not that long. Just take it at whatever pace you’re comfortable. Once you reach the top, take a right and return to your car.